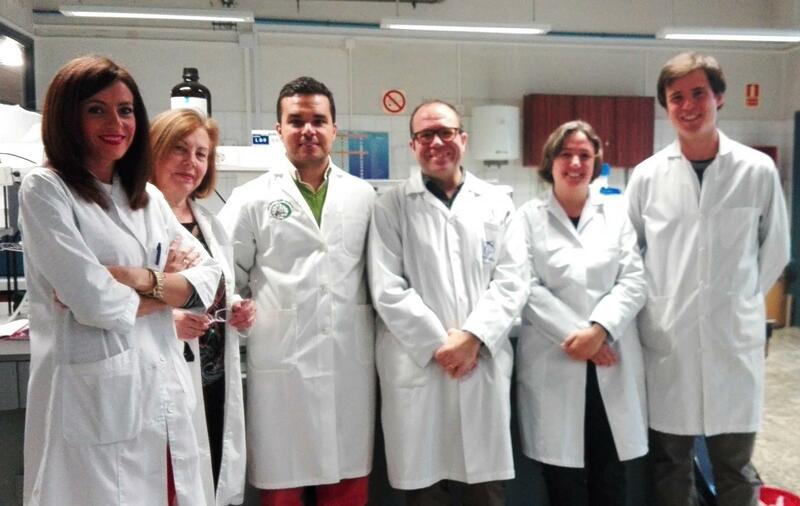 A team of researchers from the department of Chemical Engineering at the University of Granada (UGR) has managed to successfully use some of the waste produced in the olive-oil industry to elaborate surface active agents, specifically biosurfactants and monoglycerids, which are molecules with countless applications in chemical and food industries. It's the first time alperujo is used for the production of biosurfactants, molecules of biological origin which possess an excellent environmental compatibility and have many applications in fields such as cosmetics, medicines, food, detergents and natural environment. Surface active agents, or surfactants, are molecules with a liposoluble (dissolvable in oil) section and a hydrosoluble (dissolvable in water) section. The partial solubility in both oil and water allows the surfactant to occupy the interface. This reduces surface tension and interface tension between individual molecules, and it has emulsive properties. Alperujo is the waste generated during olive oil extraction by the two-phase method (the most common in Spain nowadays). Although the implementation of said system has significantly improved the environmental impact associated with the production of olive oil by merging and reducing waste streams, alperujo is still a first-class environmental and management problem for the regions where oil is elaborated, due to its polluting load and the immense quantities in which it is produced. Used cooking oils, for their part, are also generated in great quantities in restaurants, hotels and homes. Even when there are companies authorized for its collection and its collection rate is increasing, it's difficult to find a use for this contaminating byproduct. Nowadays, both wastes are being used for producing energy, either by direct combustion (alperujo) or by its previous conversion into fuel (cooking oil). Because of that, UGR researchers aim to give them an added value, as mentioned above. For said conversion, the researchers have used biotechnological methods. They have fermented alperujo using the same microorganisms used for producing biosurfactants, in collaboration with two teams of researchers from Ulster University (North Ireland) and the Regional University of Blumenau (Brazil). The researchers have managed to produce this kind of substances using strains of Bacillussubtilis and Pseudomonasaeruginosa, and alperujo as the source of carbon, for the first time. This may be a breakthrough for obtaining this kind of biosurfactants at a lower cost. Used cooking oil, by its part, has been converted into monoglycerides and diglycerides by enzymatic hydrolysis, which allows to have very light reaction conditions. The process has been carried out in microemulsion, a nanostructured system with high interfacial area, which makes possible to maximize enzyme action. This research has been funded by the Regional Government of Andalusia (Project P10-TEP-6550) and the University of Granada (Project PP2015.08), and it has been the subject of a doctoral thesis. The collaboration with the University of Blumenau has been fostered by a Hispano-Brazilian interuniversity cooperation project (PHB2012-0277-PC), which has been funded by the educational authorities from both countries.